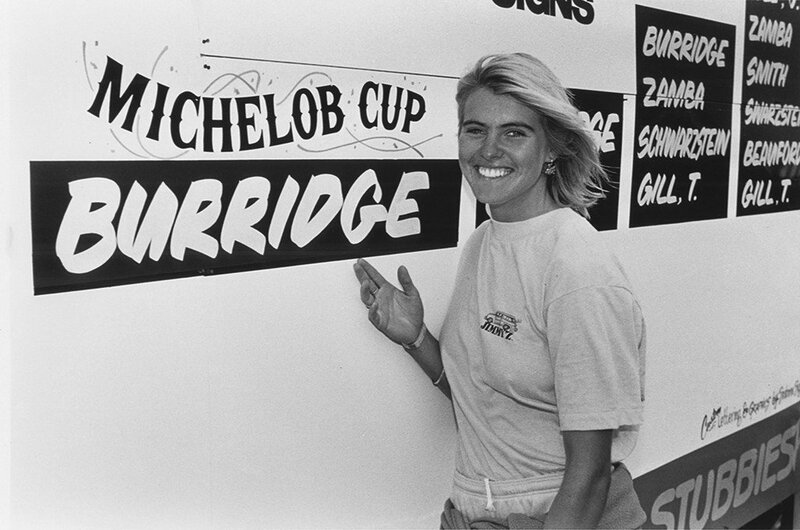 Pam Burridge was pretty much the face of women’s surfing in Australia in the 80’s and 90’s paving the way for the likes of Layne Beachley, Steph Gilmore and more recently Tyler Wright to go on their amazing multiple world title runs. Pam along with her peers Jodie Cooper, Pauline Menczer, Frieda Zamba, Kim Mearig, Wendy Botha and later Lisa Anderson pretty much busted down the doors for women’s surfing in those heady misogynistic times. Pam picked up her first surfboard in 1975 at the age of 10 and was entering her first competitions like the Move It On Pro at Nth Steyne and entering male dominated board riders club comps just as the sport of professional surfing was being born. When Pam started surfing at Nth Steyne, women were not part of the then ASP world tour and contests for girls were extremely limited. None of that halted Burridge. In 1980, aged 15, she was ranked 11th in the world and began to travel around the world, surfing in contests trying to make a living. For the next two decades, travelling the world competing, making friends, surfing amazing waves, having fun and socializing was her life. Pam wants to invite all those friends, associates and fans along for a reunion at a central easy to get too location – Bali’s Bukit Peninsula. There’s options for all at S-Resorts Bali– there’s good, healthy food, yoga classes, affordable accommodation, surf guides to take us surfing wherever we want, some can jump in the vans and go partying in town at Kuta, Legian or Seminyak. Pam wants to make it clear this is not a competitive event, this is a fun, chilled social event where all the girls can catch up and go off for some fun surfs, chat about great times had and also the future. Nowadays, Pam dedicates her life to family and also teaching others how to surf through her learn to surf school at Mollymook on the south coast of NSW. 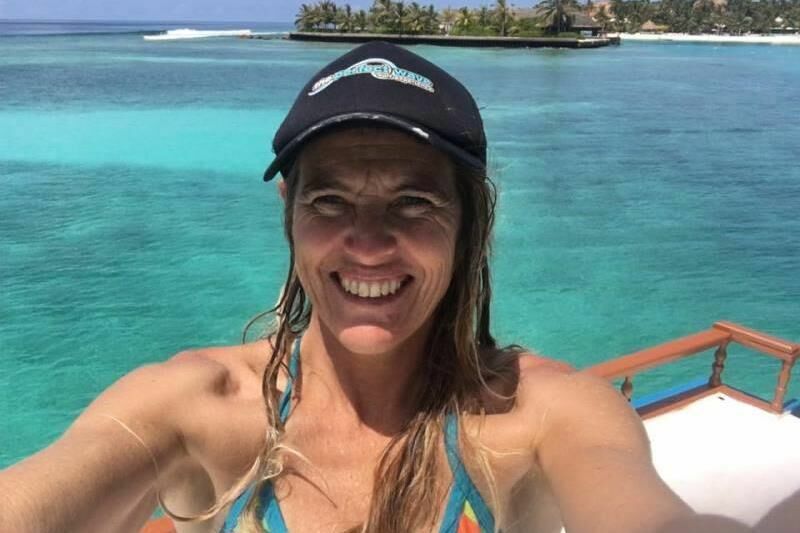 Pam is also an ambassador for The Perfect Wave, hosting annual coaching trips at Kandooma in the Maldives for The Perfect Wave. She also coaches an aspiring professional surfer, 15-year-old Sophia Fulton from down the coast, who is working through the qualifying series events in an attempt to make it onto the world tour in 2019. “I’m still totally dedicated to surfing, I try to get in the water every day there’s waves and I love my coaching at home and abroad.” Burridge said. We will have an MC, some great old photos and videos and be able to enjoy some great surfs together at all the consistently wonderful world class breaks nearby on the Bukit, music, meals and dancing together. The Women’s Pro Surfing Reunion hosted by 1990 World Surfing Champion Pam Burridge is on Oct 14 – 21, 2018 S- Resorts, Bali’s Bukit Peninsula. Whether you were a fellow world champion, one of Pam’s contemporaries, a top 16 pro, judge, trialist or even just a female recreational surfer or fan, you are invited. There will be music, old photos, clips, dancing, storytelling –it will be such a blast. If you are a female surfing fan this will be the chance of a lifetime to meet and hang out with the cream of women’s surfing. Pam doesn’t want anyone to be intimidated or feel left out, this social event is open to all girl surfers regardless of age. To book or enquire, click here.